When most people think of a hedge, the image of a neatly clipped privet hedge immediately comes to mind. However, informal hedging offers a much wider range of different options. Informal hedging styles allow hedging plants to grow in a more natural shape and therefore, as an additional advantage, require less maintenance than more formal hedging styles. When creating an informal hedge, gardeners typically choose flowering, deciduous hedging plants, whereas formal hedges generally consist of unchanging evergreens that are trimmed into a clearly defined shape. This does not necessarily mean that informal hedges are untidy in appearance though. Most species used for informal hedging can even be trimmed to have a more formal look, but they are usually planted to add a wilder, more natural character to a garden. Informal hedges come in many different varieties. Some of the most classic country hedges found in the UK are excellent examples of informal hedging. 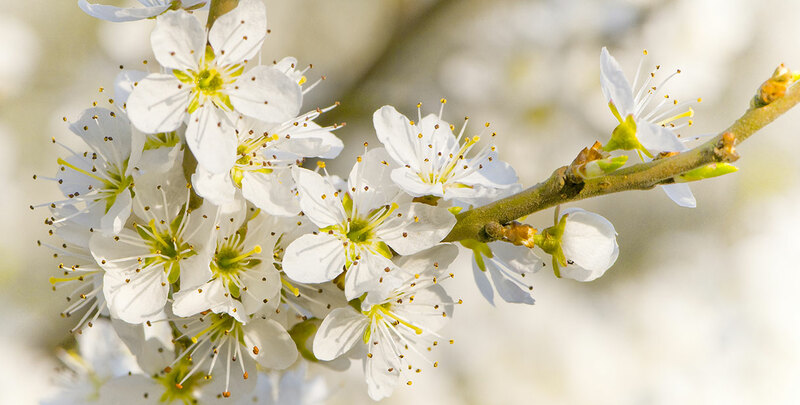 Hedges made up of blackthorn, hawthorn and dog rose were traditionally used because their thorny branches would keep livestock out of gardens and in their pastures. These native hedging species make practical intruder hedges, which serve that purpose as well in urban gardens as they do in more rural areas. In addition, all of the aforementioned species offer pretty flowers and are helpful to local wildlife, with its branches providing shelter to birds and small mammals and berries that are an important source of nutrition for birds. Due to their open, somewhat sprawling growth habit, these plants will make an excellent informal hedge. 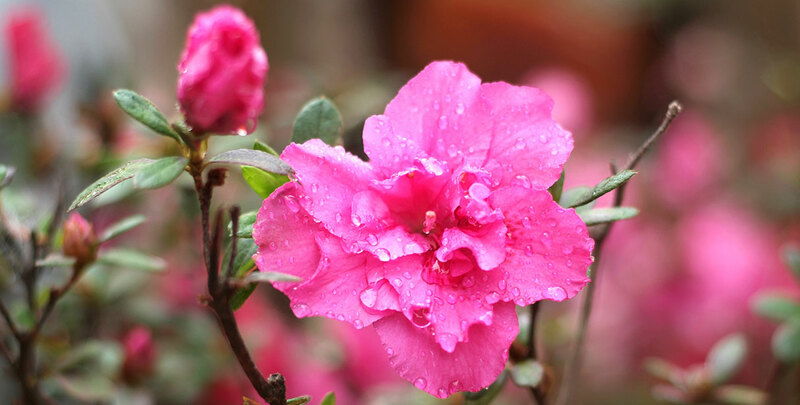 Should you prefer a more exotic or showy choice of hedging plant, you might consider species like the rhododendron, the snowberry, the lilac or the butterfly bush. The large, bushy growth habit of the rhododendron will provide privacy whilst maintaining a natural look. Their large trusses of colourful flowers will certainly add interest to your garden. Snowberry hedges will remain quite low, but what they lack in size, they make up for in visual interest with their bright autumn berries. 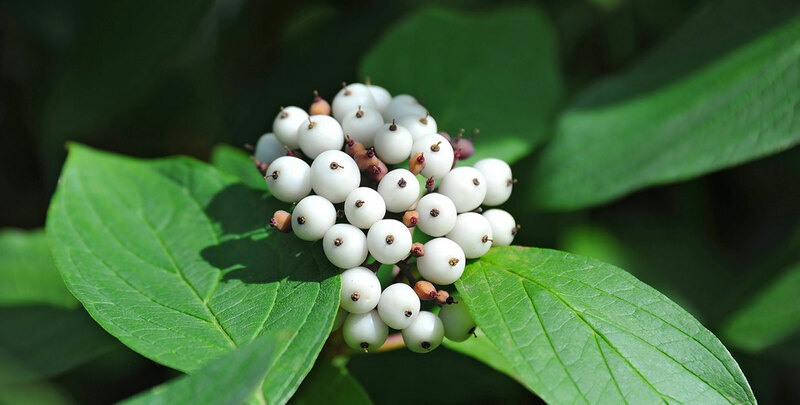 This also makes snowberry a popular component of mixed hedges. Common lilac is also a fairly small flowering shrub, suited to both country and urban gardens. Lilac will flower from May to June and can be combined nicely with the snowberry ‘Magic Berry’ to create a mixed informal hedge. 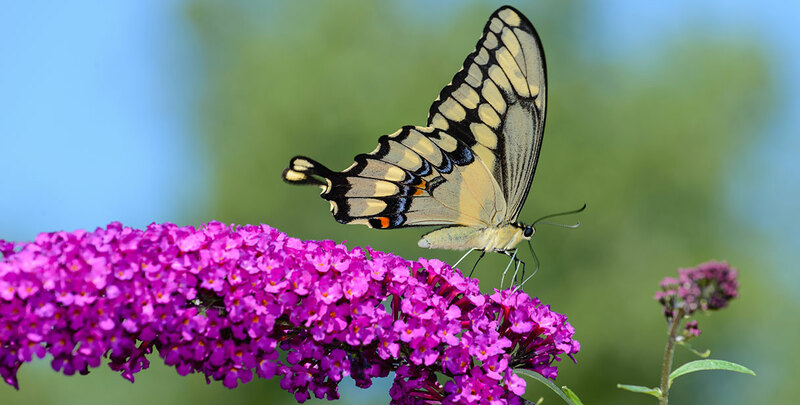 The butterfly bush, also known by its botanical name buddleja davidii, will truly live up to its name, as butterflies and other pollinating insects are attracted to the pleasant scent of its long flower trusses. This pretty shrub sports elegant, arching branches that will burst into colourful blooms during the summer. Due to its relatively open growth habit, buddleja is well-suited for informal hedging purposes. As you can see, there are many options for informal hedging; you can choose to plant an informal hedge for its abundance of flowers or simply because you want your garden to have a more exotic or rustic character. There is an informal hedge available for just about any type of garden and even though the aforementioned suggestions are winners, they are hardly the only options - less well known hedge plants such as mock orange and flowering currant are equally well-suited to informal hedging. Informal hedging is much more diverse than formal hedging, giving you the opportunity to choose a hedge plant which you truly love in appearance. However, if you cannot pick only one species, there are plenty of mixed informal hedging options to be found. You can simply let your imagination run wild, as this will give your garden a more personal touch. In addition to personal preference, informal hedging requires less maintenance than formal hedging. Some of the species used to make informal hedges do not even need to be pruned at all, though it would be wise to subject most of them to some light trimming every year so they will not grow out of control. Be careful not to prune too rigorously though, as that will affect the natural look of the hedging plant. In a way, the original hedges were informal hedges as well, as the first hedges were planted around farmlands to protect the crops that were grown there with little regard for their appearance or maintenance requirements. Through the years, people have come to appreciate the ornamental value of hedging plants and have started planting them as a border around their gardens. Mixed country hedges are popular examples of informal hedges that are still in high demand. Garden enthusiasts all over the world still appreciate the untamed, natural look of an informal hedge, especially when combined with colourful flowers and berries. Wildlife is often attracted to informal hedges rather than formal ones, as fruits and flowers are often sacrificed when trimming to create a neat, formal shape. While the year-round green look of a formal evergreen hedge certainly has its charm, some people simply prefer the wild look and seasonal changes of an informal hedge. As there are so many options to choose from, we would like to provide you with an online overview of the most popular hedging plants for informal hedging purposes. Some hedging plants we have described can even be used for both formal and informal hedging, depending on how often the plants are pruned. If you are looking to decorate your garden with a single species or mixed informal hedge, the perfect option for your garden is certainly out there somewhere. We strive to offer you the information you need to help you find the ideal informal hedge to plant in your garden.